Websecsystems India is a reliable name when it comes to buy world class Biometric Attendance Systems. 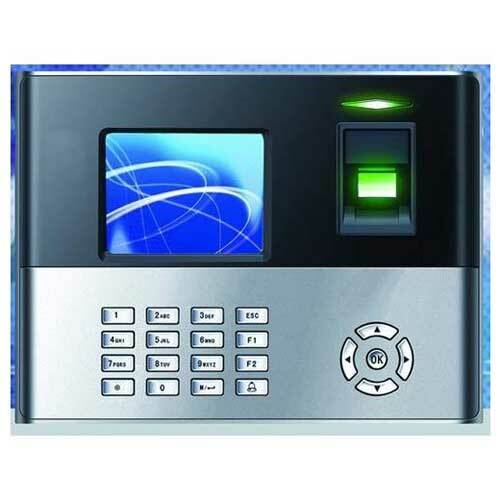 We are a prime Exporter and Supplier of Biometric Attendance Systems for attendance purposes. Widely used at offices, institutes, and banks, these Biometric Attendance Systems comprises of Auto Push Data Service on Internet/GPRS with integrated 5Hrs battery backup enabled with connectivity features like Wi-Fi/GPRS/CDMA. Specially designed by experts, the Biometric Attendance System provided by us is capable of maintaining 3000 users for 10000 logs. Fitted with hi-speed 32bit Microprocessor, our Biometric Attendance System is the best choice available in the markets.